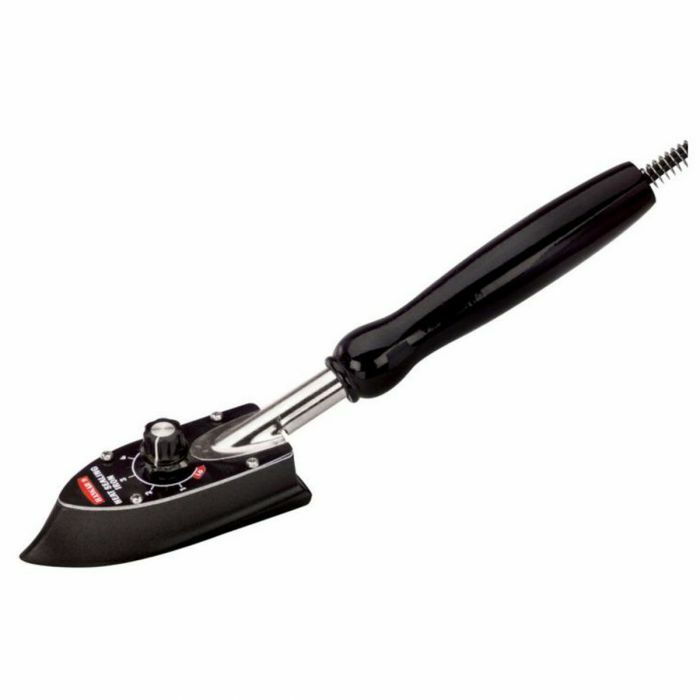 This popular heat sealing iron is used by industry professionals for applying adhesive backed edgebanding. The "Hangar 9" heat sealing iron is used by industry professionals for applying adhesive backed edgebanding. The teflon-coated nonstick sole plate quickly heats up to 442° F and assures even heat distribution. The iron includes a stand for safe storage while the hot iron is idle. The soleplate measures 4-1/2" long x 1-3/4" wide, with an overall length of 11-1/2" including the handle.